Imagine a Turkey Breast prepared the way only HoneyBaked can make it. 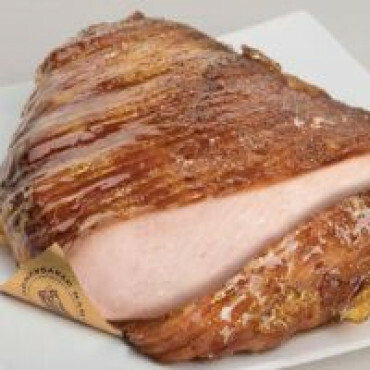 It's pure tender white meat, carefully Oven-Roasted to perfection, and then topped with our famous HoneyBaked sweet crackling glaze. It's turkey like you’ve never had it. Each Turkey Breast is sliced, ready to serve, and weighs on average about three pounds.